On the site of the current Coryton oil refinery in Corringham, there once stood a huge explosives factory called Kynoch Ltd. Employing over 4,000 people at its height during WW1, a small village was built next to the factory called Kynochtown to house the workers, which included a school, Post Office and even a cinema. Producing 120 tonnes of cordite a week, employees had to work 12 hours a day. 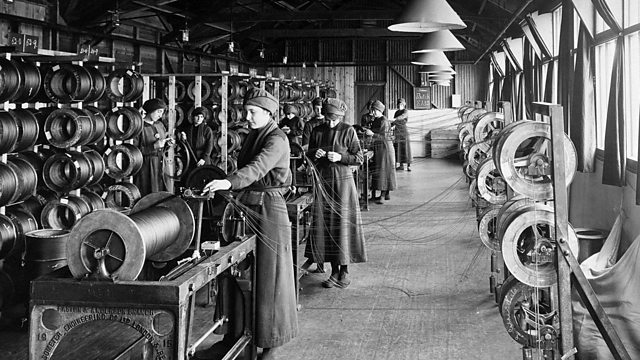 The predominantly female workforce included some prostitutes from London, who were given the choice of prison or working for an explosives factory. Working at Kynoch was not necessarily the easier option – the work was dangerous with accidents resulting in lost limbs and even fatalities. As it could not change its business model after the war, the Kynoch factory in Corringham closed down in 1919, less than 25 years since it first opened.